Honor children. Engage families. Inspire educators. 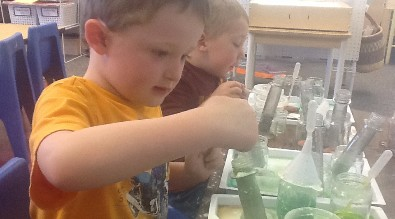 The Summit School District Preschool Program promotes high quality, developmentally appropriate, inclusive early learning experiences for all children. We value building relationships with families to foster the growth and development of the whole child. And we seek partnerships with organizations in our community dedicated to supporting young children and their families. 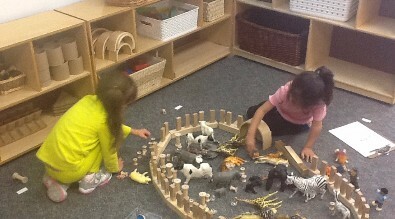 Children learn about their world through play and interactions with others. Children deserve a quality childhood so they become joyful, lifelong learners, active contributors to healthy communities, and productive members of society. Play is the mechanism for young children's learning. Children are competent and capable learners who can make a valuable contribution to their own, and other's, learning experiences. 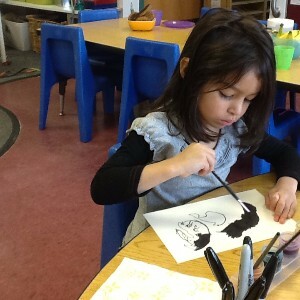 We are dedicated to fostering a child's creativity and curiosity and a life-long love of learning. Our curriculum focuses on active exploration and discovery as a means of supporting all areas of development: social-emotional, language, cognitive and physical. Building social and emotional skills is at the heart of everything we do. Our learning environments are designed to foster exploration and investigation, cultivate social learning opportunities, and strengthen the sense community. Our teachers are highly qualified and dedicated early childhood educators. We serve children who are not kindergarten age-eligible. Children who are three or four years old on or before October 1st of the school year you are applying for, are eligible to enroll in our program. We are a four day a week program meeting Tuesday - Friday. We follow the school district calendar. The Spring Preschool Application window is closed. will be available to submit online again starting in June. NOTE: Your child must be either 3 or 4 years old on October 1, 2019 to be eligible to apply for preschool. We do not enroll children who are kindergarten age eligible in our preschool program. Complete the online preschool application and upload all required documents. Families applying for tuition assistance will also attend a Family Interview Appointment - you will schedule this appointment online through an appointment scheduling link in the Preschool Application. Complete two separate online parent questionnaires. These online parent questionnaires are not included in the preschool application. To access these two separate online parent questionnaires, you will need to click on the two different orange links below for Parent Questionnaire #1 and Parent Questionnaire #2. ALL of the above listed steps MUST be completed in order for your child's application to be considered complete. Incomplete applications WILL NOT be considered for a preschool slot. Need help uploading documents or completing the online Preschool Application? Click here to schedule a Preschool Application Help Appointment. Call 970-368-1022 if you need assistance scheduling a help appointment. We partner with several different programs to offer Tuition Assistance. We recommend that you review the list of required documents (click on orange link below) and collect all of your documents prior to starting the application. 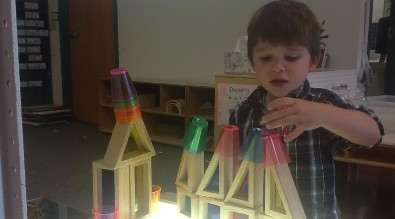 We are an integrated preschool program and are dedicated to meeting the needs of all children. We understand that all children benefit from the opportunity to interact with similar age peers and to learn about their world in a high quality inclusive early learning environment. The identification of an education disability begins with an appointment with the Child Find team. Children may be referred to Child Find for a developmental screening by a teacher, parent, doctor, or other agency. Information gathered during the developmental screening process will help us to determine if further assessment is needed to determine eligibility for preschool special education. If eligible, an Individualized Education Program (IEP) will be developed with specific goals to address the child's specific needs. All special education services and related services are provided at no cost to the family. The Summit School District Child Find Program is provided without charge to families who live in Summit School District. The purpose of the program is to identify children from birth up to six years old who may be having difficulty in their development and to provide specialized support services when appropriate. Parents who contact Child Find may have a concern about their child’s development in the areas of: speech and language skills, fine and gross motor skills, thinking skills, and social and emotional abilities. Children may be referred to the Child Find Program at any time. 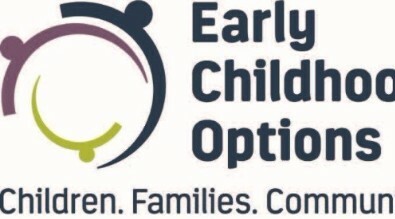 The Child Find Program provides developmental screening and, when appropriate, a comprehensive multi-disciplinary team assessment to determine eligibility for Early Intervention (birth-three years old) or Preschool Special Education Services (three-five years old). The multi-disciplinary team includes early childhood specialists and the family. If a child is determined to be eligible, then an Individual Family Service Plan (IFSP, birth-3 years old) or an Individual Education Plan (IEP, 3-5 years old) is developed and services begin. A developmental screening provides a snapshot of the child’s abilities in the areas of speech and language skills, fine and gross motor skills, thinking skills, and social and emotional abilities. A comprehensive multi-disciplinary assessment provides an in-depth look at the child’s development conducted by a team of early childhood specialists and the family. The process includes a parent interview, a play based assessment and other assessments as appropriate. We don't want the cost of preschool to deter families from enrolling. Our Preschool Program partners with the Summit Pre-K (SPK) Program, the Colorado Preschool Program (CPP), and Summit Head Start 0-5 to offer tuition assistance to qualifying families. Families who qualify for and are offered a slot in one or more of these programs may receive tuition assistance for some, or all, of their child's preschool tuition costs. The Summit Pre-K Program (SPK) helps to make high quality preschool possible for all Summit County 4-year olds in the year before they enter Kindergarten. To offset the high cost of quality preschool, SPK provides monthly tuition credits to families who meet the required criteria. Click here to learn more about The Summit Pre-K Program. 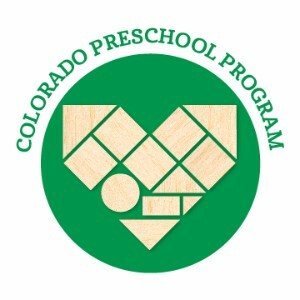 The Colorado Preschool Program (CPP) is a state-funded early childhood education program administered by the Colorado Department of Education. CPP provides access to quality early childhood education for children who lack overall learning readiness and have certain risk factors in their lives that are associated with later challenges in school. Click here to learn more about CPP. 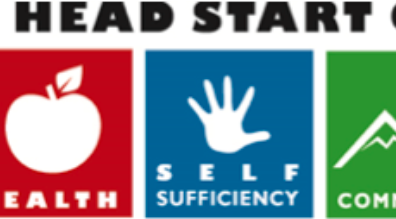 The Summit County Early/Head Start program is a comprehensive continuum of support and education to families and children zero to five years in age. 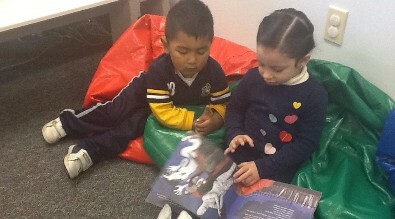 Click here to learn more about Summit Head Start 0-5.